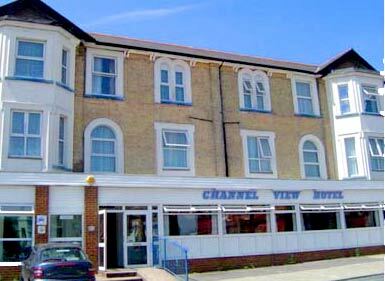 Channel View Hotel welcomes you to the Isle of Wight the hotel is a stones throw from Sandown's famous sandy beaches. Its position gives you easy access to the beautiful sea shore, the pier ,the shops, the adjoining villages, and more? The entire hotel is designed. to be home away from home and we intend to give you everything you could wish for. All the rooms have en-suite facilities, many with fantastic sea-views . Channel View Hotel is a popular, welcoming hotel . due to its comfortable surroundings. We can offer you so much more than the expected. You will see just upon entering our premises how friendly we are. While you are away sight seeing, your room is cleaned ,bed made, fresh towels kept, spik n span for you to come and relax .After a nap, you have the evenings to spend in the bar lounge watching TV or chatting to friends. And the night time is buzzing with the people?s talks over dinner where again you have a wide variety of food and wine to enjoy .Also there?s a new musical event every night for your entertainment .You have to be in your dancing shoes to join the party or may be to sing along or to play guitar ... surprise every day. Our fully licensed bar is open all day, this is an ideal place to meet friends, to enjoy drinks with live entertainment on every day basis from local musicians .You can enjoy sitting outside in the decked area and enjoy a drink in the sun. In the evening our bar area makes the ideal place to relax after sampling the delights of the Isle of Wight. So relax, unwind and enjoy a drink from our well-stocked bar which offers a wide range of beers, wines, spirits, soft drinks, coffee, tea . Entertainment features daily at the Channel View Hotel and proves to be most popular with our guests, not forgetting Bingo nights!